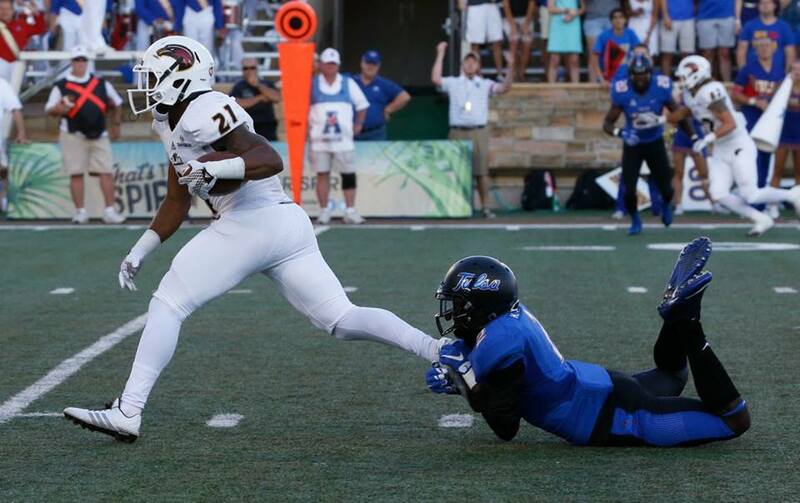 TULSA, Okla. – A potential Tulsa blowout turned into a seesaw affair in the second half as the Golden Hurricane hosted the ULM Warhawks at H.A. Chapman Stadium’s Skelly Field. Leading 20-7 at the half and threatening to blow the game open, ULM regrouped to outscore the Golden Hurricane 17-0 in the third period and take a 24-20 lead. Not to be outdone, Tulsa responded with a 14-0 run of their own over the final 15 minutes to slam the door shut and claim a 34-24 win over the visitors.